Quiriguá is an ancient Maya city and UNESCO World Heritage Site in the tropical forests of south-eastern Guatemala. Its early occupation began in 200 CE and lasted more than 1000 years. The city is located near the Montagua River, which is navigable and supported the shipment of jade, obsidian, and other trade goods. 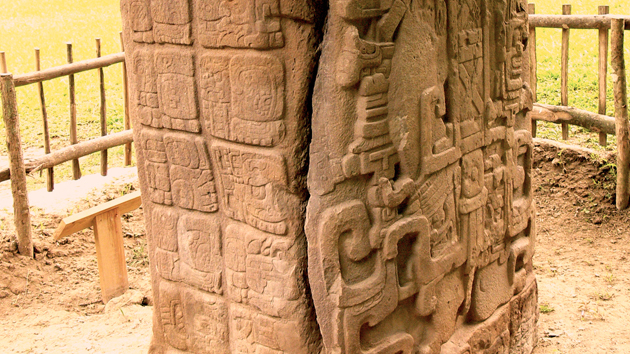 Quiriguá is famous for its many stelae, which are the tallest in the Maya world. The stelae are carved on four sides with images of kings, hieroglyphs, and calendar dates. Stella C has inscribed in stone the Maya Long Count calendar date 13.0.0.0.0 4 Ajaw 8 Kumk’u, corresponding to August 11, 3114 BCE. This date marks the beginning of the calendar cycle ending on December 21, 2012. The hieroglyphs accompanying these dates tell the Maya story of creation. 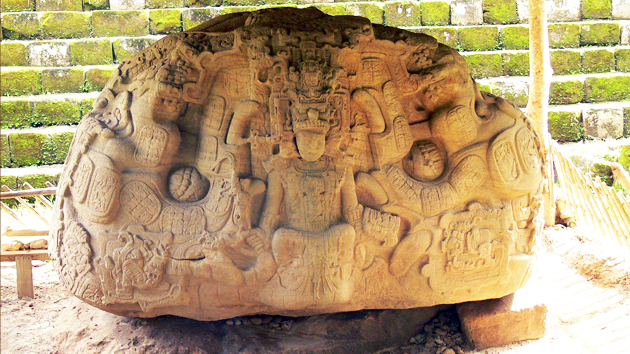 Quiriguá was closely linked to the ancient Maya city of Copán in present day Honduras. 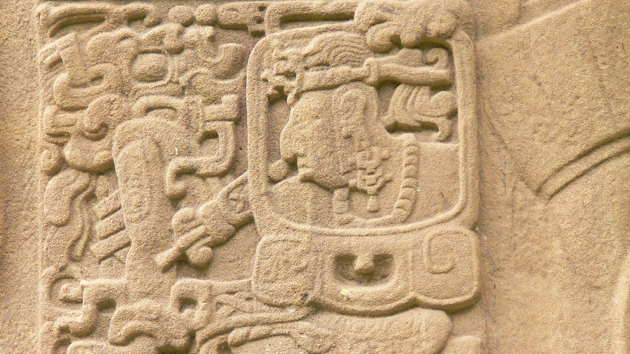 In the year 738 CE, Quiriguá's king, K'ak' Tiliw Chan Yopaat or "Cauac Sky," captured and killed the greatest king of Copán, Waxaklajun Ub'ah K'awil or “18-Rabbit.” Quiriguá, originally a vassal state of Copán, maintained its independence after the defeat of 18-Rabbit. Archaeologists believe that the decline of Quiriguá and other Maya cities around 900 CE was a result from a combination of factors including wars, overpopulation, natural disasters, and the depletion of natural resources. The impeccable grounds of Quiriguá. 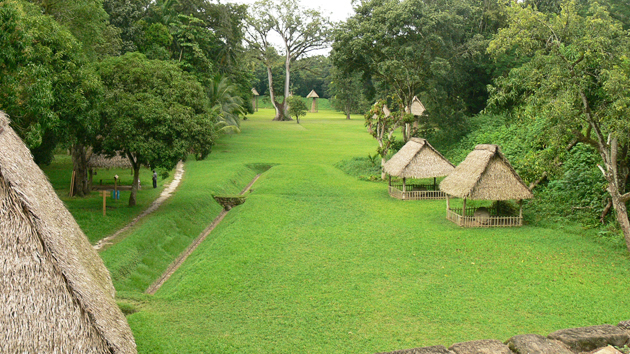 The verdant plaza is host to dozens of stelae protected by thatched roof structures. K'ak' Tiliw Chan Yopaat or "Cauac Sky," Quiriguá's greatest ruler, "planted" most of these "stone trees" at the site over his 60 year reign. 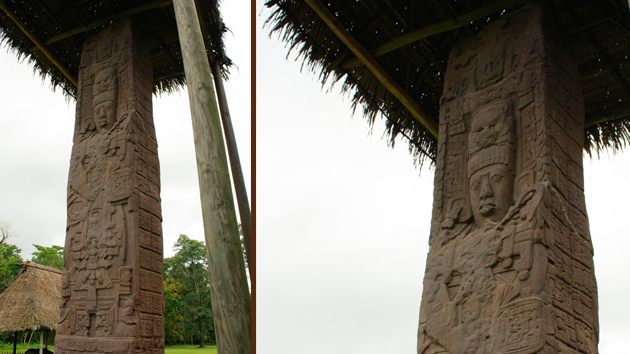 Stela E is the tallest carved monolith at the site, reaching 35 feet (10.6 m). These monuments were carved from single blocks of red sandstone brought from quarries 3 miles (5 km) away. Stela C, erected in AD 775 by the Maya Lord K'ak' Tiliw Chan Yopaat or "Cauac Sky." Stela C has the longest inscription of hieroglyphs of the story of creation of the Maya. The creation date recorded on this monument is 13.0.0.0.0, 4 Ajaw 8 Kumk'u in the Maya Long Count Calendar, corresponding to August 11, 3114 BCE. The 4 Ajaw 8 Kumk'u calendar glyphs date the beginning of the Fourth Creation in Maya cosmology. 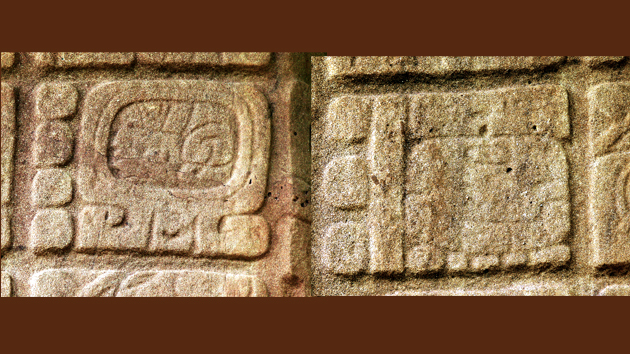 Detail of Stela D, East side, showing a full-figure Long Count date glyph. The Great Turtle P, North face shows “Cauac Sky” sitting in the open mouth of a monster with his legs crossed. Detail of the Great Turtle P, South face. 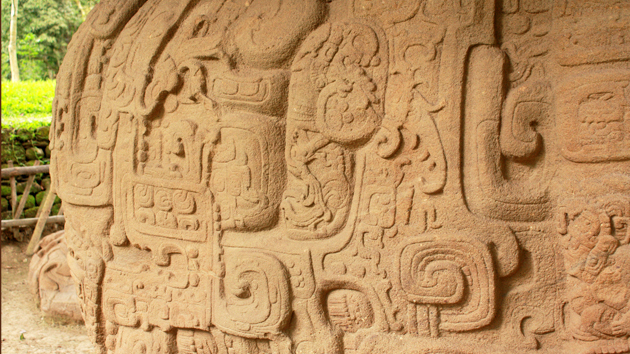 The entire surface of these massive, fantastic stones is carved with beautiful glyphs and the most intricate and baffling carvings in Maya art.